Sales tax is one of the more complicated concepts supported by QuickBooks Online. QuickBooks Online was designed for you, the small businessperson. You’ve probably discovered that many of its features are fairly easy to use from the start. But just because QuickBooks Online can do something, doesn’t mean you should always go it on your own. Sales tax is one of those things. Depending on your geographical location, you may have to charge not only state sales tax, but also county and city/municipality taxes (and sometimes special taxes). If you’re selling products or services to customers in other states, your situation can get very complicated. We’ll show you some of the mechanics involved, but we strongly recommend that you let us help you with this. You can define either a Single tax rate or Combined tax rate in this window. You’d enter the Tax name, Agency name, and Rate in the designated fields if you’re just creating a Single tax rate. In some cases, you may have to enter a Combined tax rate. If so, click the button in front of Combined tax rate. The window that opens contains fields that are similar to the ones in the above image, except that you will have an overall Tax name in addition to a Component name for each individual tax component included in the combined tax rate. You’ll choose this option when you have to record individual elements of the tax separately. For example, Ft. Myers | Lee County| Florida State. To muddy things up even more, some items in some situations are exempt from sales tax. Questions about the Combined tax rate? Contact us, and we can help you here. When you’re done, click Save. You’ll see the tax you just created in a table in the window that opens. To define a New tax, Edit an existing one, or Deactivate one in the list, click the appropriate button. 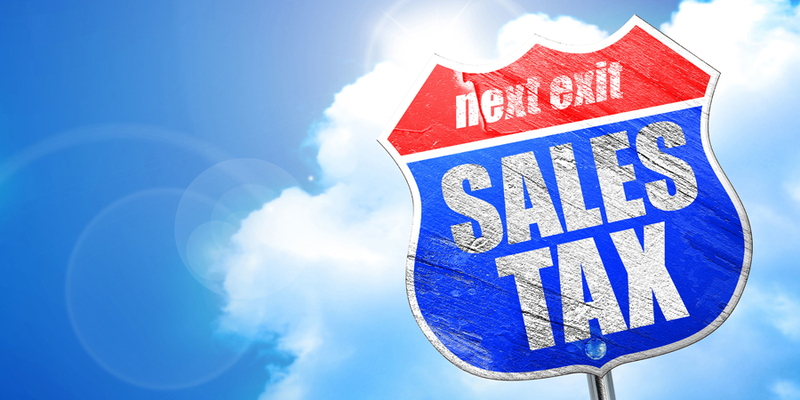 If you’ve entered all you’ll need for now, click Return to Sales Tax Owed and Recent Payments. Once you’ve set up all the sales tax rates required for you, QuickBooks Online will calculate them for you in transactions where they need to be collected. You can see the running tally in the Sales Tax Center, but it’s up to you to create and record payments on the prescribed schedule. You can also run related reports here. The customer address on the sales form. But QuickBooks Online can’t know the exact tax situation for all its users. You have to do some detective work before setting up sales taxes. You’ll need to know, for example, whether your state taxes the products or services you sell. Also, what’s the sales tax rate(s) for the affected states? What agency collects it? When are the payments you’ve collected from your customers due? Your state government’s website should cover all of this. 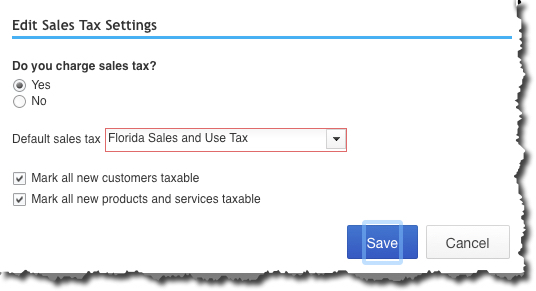 To save time, QuickBooks Online lets you set some default sales tax actions. Click the button in front of Yes after Do you charge sales tax? if it’s not already selected. If most of your transactions will use the same sales tax, you can set it as the default (but change it during transactions if necessary). If the majority of customers, products, and services will be subject to sales tax, you can check the boxes in front of the Mark all…statements (these designations too, can be edited in individual transactions). You can see that using QuickBooks Online’s sales tax tools requires research, decisions, and extreme accuracy (state revenue departments run occasional audits). Be sure to consult someone familiar with it complexities if you need to take this on.